1903 built as the WHANGARONA for J.C. Burford, Nelson. Renamed TASMAN before being commisioned. 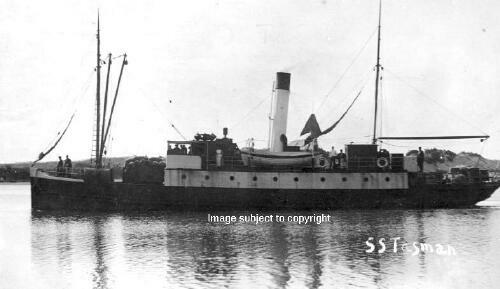 1907 sold to Anchor Shipping & Foundry Company of Nelson. 1921 May 12th wrecked on Rurima Reef off Matata, Bay of Plenty, without loss of life.